My portraits of Maria Davey, photographed for the British Heart Foundation. We began shooting as first light hit the beautiful Battery Rocks off the Cornish coast. I photographed a rather extravagant 1st birthday party last weekend. More presents than attendees. My portraits of Sir Tim Smit the creator of the Eden Project in Cornwall. Both portraits were shot inside the Rainforest Biome. A truly fascinating place, complete with it's own insects crucial to the ecosystem, which include big bitey ants. Big bitey ants that Tim was keen to avoid whilst draped in the ferns above. A recent portrait, shot for the British Heart Foundation. This is Trevor, a retired psychological therapist who suffered a heart attack in mid 2014 aged 59. Trevor lives in a beautiful part of the world on the North side of Dartmoor National Park. As a keen hiker who was regularly out trekking, Trevor's heart attack took him and his family by surprise, happening whilst he was relaxing at home.. I spent a fun afternoon chatting and snapping portraits of Trevor around his home and garden.. The above image wasn't used in the end but it was my favourite from the set. My portrait of Syra (above) shot on a blisteringly cold day in Birmingham, also pictured with her partner Grace (below). You can just make out that the lake is frozen in the portrait below. Shot for Grazia UK. My portrait of author and businesswoman Margaret Heffernan, shot for the FT at her home in Somerset. I had the pleasure of meeting and photographing Paul (above) a vocal proponent of the 'Dignity In Dying' campaign. Recent location portrait work photographing swimmers at the Portishead open air pool. A new personal project curtrently underway. A recent collaboration with the fantastic team at Secret Music. 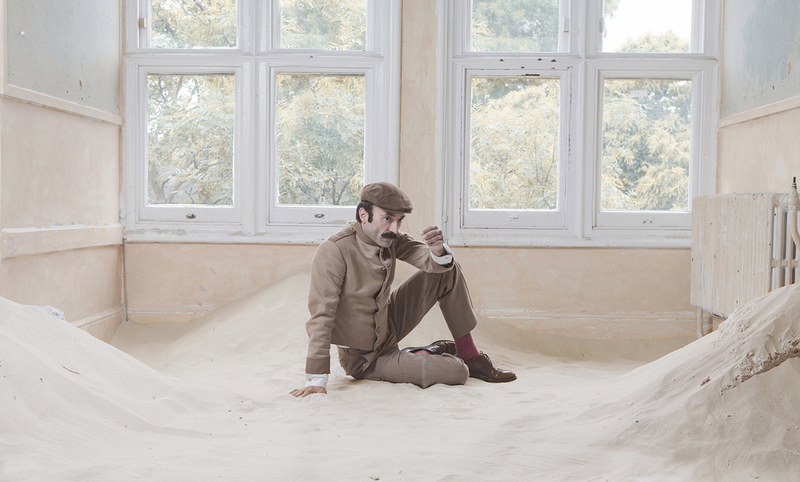 Actor Demetris Christopolous photographed on a set in a secret location in East London. I can say no more except make sure you catch the next one. In a slight departure from my usual subjects, I spent the day in a secret underground London bunker photographing some very cool new kit for Flipside Soundsystem. The unit above is a very large very striking sub-woofer, We didn't use smoke machines to get the effect, we just turned it on and it immediately started vaporising the cement it stood on. Big thanks to CD Mr Redman for the Art Direction. Recent work for Grazia magazine, shot on a sunny afternoon at Dovecliffe Hall near Burton On Trent. 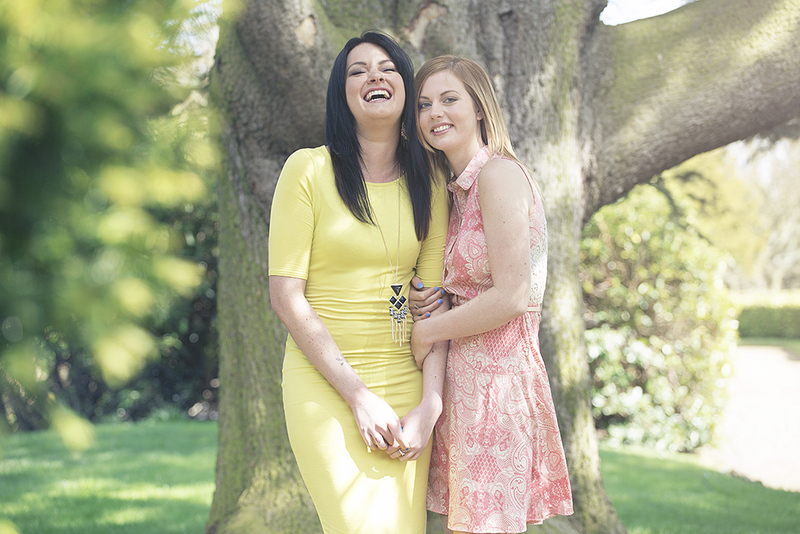 A feature on best friends who've helped each other through difficult times. I photographed two heavyweights of the science world on the same day this month. 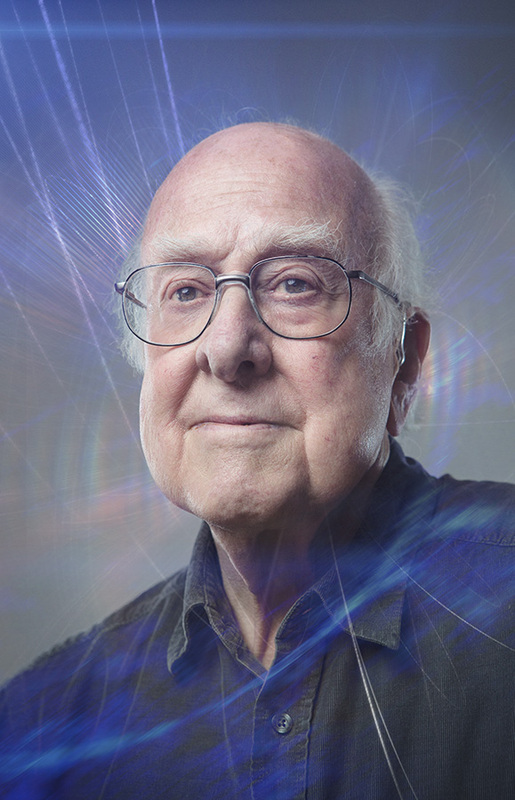 Firstly Professor Peter Higgs (above) who 48 years ago first predicted the existence of a new particle, the Higgs boson, "probably the most sought-after particle in modern physics" (thanks Wiki). CERN famously announced on 4 July 2012 that they had (experimentally) established the existence of a Higgs-like boson. I remember seeing the footage of Professor Higgs overcome with emotion at the announcement, an announcement he'd never expected to see in his lifetime. I cannot imagine how that must feel. Dedicating your work and life to a theory that you thought you'd never see confirmed and then not only excitingly witnessing the development of the technology able to test it but to also have your theory proved correct. A historic milestone that may not be bettered in our lifetime. Sadly my knowledge of particle physics doesn't exist, so I bought the conversation round to a more comfortable level. I asked Prof Higgs if he was aware of the Nick Cave song 'Higgs Boson Blues'. Turns out he knows of it through his musician son but he has never actually heard it. I toyed with the idea of pulling out my phone and playing it to him but decided against it, it's a lengthy song and I didn't have long. The second scientist was Dr James Watson of Watson & Crick fame, who first discovered the structure of DNA but I'll save that portrait for another post. I feel immensely lucky to have met two of the key people who've shaped modern science and our understanding of the world around us. Here's Bee Inspector Charles Millar disturbing a bee's nest. Relax, he's doing it for the good of bee colonies nationwide. Charles works for the The Food and Environment Research Agency as an inspector in the National Bee Unit and he's inspecting this colony for signs of disease, which you'll be pleased to hear there were none. I've never photographed a bee colony before and it was a very strange and tricky experience. I was of course dressed in the same protective clothing as Charles but the sound of a few hundred bees buzzing around your head is totally unnerving and makes it very hard to concentrate. I guess it's an inbuilt survival mechanism, much like the sound of crying babies, you just can't ignore the noise. My brain switched between screaming 'run for the hills' and making me think one of the little buggers had gotten inside my suit, which made it difficult to focus on the photography. Luckily the cold weather meant that the majority of the bees did not take flight to defend the nest from the invading inspector and photographer. Call me a cream-puff but I would not like to try that on a warm and sunny day. Charles said I was very brave for my first time, so there. This is Tim Shorland, or Lord of the Manor of Redwick and Northwick and of Hempton and Patchwick to you and I. Tim bought manorial titles in both South Gloucestershire and close to his home in Westbury-on-Trym — for less than £10,000 in 1990. Tim's Manorial estate is 6000 acres large around the Bristol area, which is where I photographed him near Severn Beach for The Times this week. A couple of portraits of UK artist Ghostpoet photographed at the beautiful Arnos Vale Cemetery in Bristol for Nokia UK. The weekend before the Welsh rugby team beautifully upset both England's grand slam and six nations victory plans, I spent the afternoon at the Millennium Stadium photographing the big chief of Welsh Rugby Union, Roger Lewis. As a big Welsh rugby fan I was more than a little excited to be shooting inside the Millennium Stadium. I almost lost my ship when we went on an unofficial tour of the Wales team changing room.